It is a term commonly used around the world. But what it really means, in the purest sense of the term, is becoming aware of your own spirit, your own journey to your own truth, and the subtle world that your spirit stretches through. The spiritual awakening does not happen suddenly. It’s a continuous process that comes and goes like waves, however, every time you ascend higher and higher. 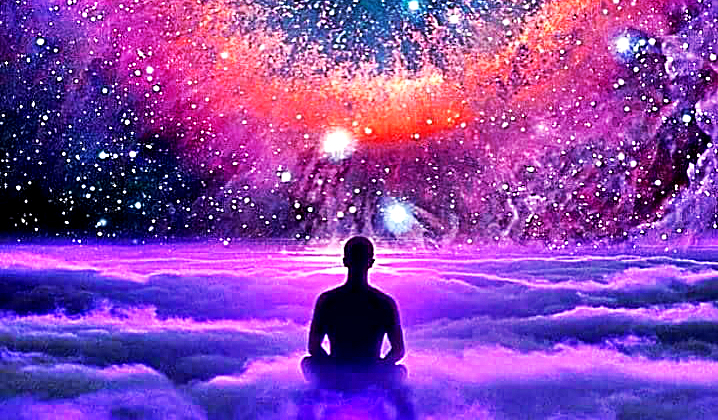 This spiritual ascension means higher awareness of these subtle realities that we are all entangled with, and it has psychophysical impact on the individuals experiencing it. Do you believe that you’re experiencing a spiritual awakening? 1. Your sleep pattern changes: restlessness, hot feet, waking up many times during the night. 2. You feel sprinkles and any activities at the crown of your head. 3. You have sudden waves of emotions and mood swings in a spur of a moment. 4. There are changes in your eating habits: peculiar cravings and odd food choices. Suddenly you have food intolerances and some allergies just come out. 5. There is an immense sensitivity of your senses: seeing, hearing, smelling. 6. Eruptions on your skin show up: rashes, bumps, acne, hives, and shingles. 7. You have periods of excessive energy followed by episodes of lethargy and fatigue. 8. You have a shorter period of prayer and meditation and are less focused while doing these activities. 9. You start eating less and less meat and processed foods. 10. You feel a power surge and are heated from head to toe, or at times could be inexplicably cold. 11. A variety of physical manifestations come up: headaches, backaches, neck pains, and flu-like symptoms. 12. You start to look younger as a result of releasing the heavy baggage from the past. 13. You have vivid dreams that seem so real you wake up feeling confused. 14. Major events in your life completely alter it, like death, divorce, change in job status, loss of home or illness. 15. You feel the need to “find yourself” and thus break free from restrictive patterns, life-draining jobs, consumptive lifestyles, and toxic people or situations. 16. You feel confused emotionally and mentally. 17. You feel the pull for more introspection, solitude, and loss of interest in more extroverted activities. 18. Your creativity bursts at a staggering rate. 19. You have a perception that time is accelerating because of the many changes that are introduced into your life. 20. You have a sense that something is about to happen. 21. Impatience starts to creep on you, but you must learn to live with the uncertainty. 22. You have a deep yearning for meaning, purpose, spiritual connection, and revelation. 23. You feel that you have become completely different from the person you used to be. 24. “Teachers”(people, books, movies, events, Mother Nature) will appear to you at a perfect time to guide you on your spiritual journey. 25. You find a spiritual path that makes sense to you and “speaks to you” at the most profound levels. 26. You move through learning and solving personal issues quite rapidly. 27. You feel that there seem to be invisible presences around you. 28. You see things that have spiritual importance for you: portents, visions, illusions, numbers, and symbols. 29. You have increased integrity and authenticity. 30. You are more in harmony with the seasons and moon cycles. 31. When you are around, electrical and mechanical malfunctions occur like flickering of light bulbs and others. 32. There are an increased synchronicity and many small miracles in your life. 33. You have an increased intuitive abilities and altered states of consciousness. 34. You communicate with Spirit and put down these inspirations through writing, painting, ideas or dance. 35. You feel a sense of Oneness and connectedness with All that is. 36. You experience moments of pure joy and bliss. 37. You feel you are in alignment of your Higher Self, emotionally, psychologically, physically and spiritually. 38. New skills and gifts emerge and you use it to live your purpose. 29. You feel you are much closer to animals and plants. 40. You see beings from other dimensions. 41. You see a person’s true form or see a loved one with a different face – past life or parallel life. 42. You physically manifest your thoughts and desires in a quick and efficient way. 43. You feel your left brain is foggy and focus more on right-brain activities. 44. You feel dizzy when ungrounded. 45. You experience falling, accidents, or breaking bones which mean your body is actually telling you something. 46. You experience heart palpitations. 47. Your hair and nail grow faster. 48. You feel the desire to find your soulmate or twin flame. 49. An array of memories start to surface like body memories, past life images or suppressed memories. If some of these 49 signs haven’t taken place in your life yet, don’t worry. Some people are prone to having more and some people experience just a few. This does not mean that you are less or more spiritually awakened, it just means that your psychophysical structure is less or more affected by the spiritual awakening. Everyone is different, but no matter who you are, if you are becoming more spiritually awake, you will experience some of these symptoms. The process takes time. More signs will show up when all the preparations needed have taken place. These are all of the symptoms and signs mentioned by almost every text, confession and report on spiritual awakening we were able to find. If you know of more symptoms, please let us know!